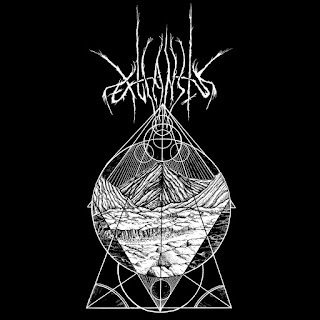 Tonight belongs to Talent, Oregon (US) heavy band Exulansis. They describe themselves as a blackened crust sludge band and "Cyclical Sentient Struggle" is their latest release, coming a year after their 2016 demo. I first heard about the band when their guitarist/vocalist J wrote to me in December. I also came across their name whilst perusing the poster for 71grind Fest, which takes place in Colorado Springs in June. Seen as it's raining hard here and social media algorithms are doing their best to strangle the growth of my blog, I've been searching for something noisy to listen to , so Exulansis should fit the bill. 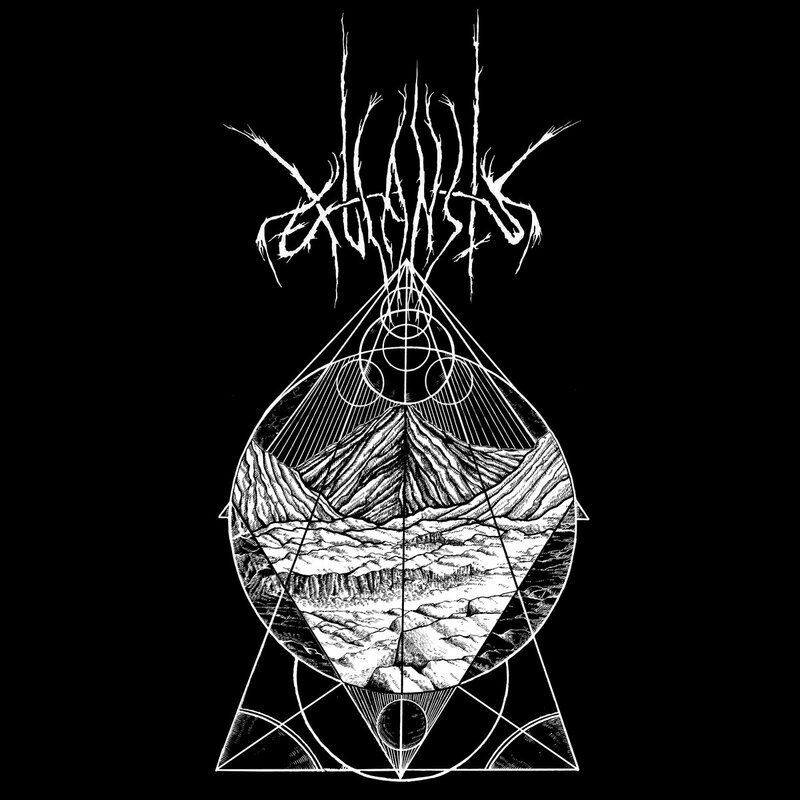 Exulansis open this record with Cyclical, which is slow and musical, sitting somewhere between neo-folk, doom and post-metal. The title of the record actually takes it’s name from the three songs on offer here, for which this one is the longest. It slowly builds in volume, with a clean chorus of both male and female vocals echoing around the instrumentation. I hear some similarities to the likes of CHRCH and Khemmis (at this point in the song), but that’s as far as I’m willing to go with comparisons for the sake of not pigeonholing Exulansis. The tempo picks up mid-way through the song and out the other side comes black metal with a decidedly original and DIY feel. This quartet clearly isn’t bound by any so-called genre conventions and very much does things their own way. Sentience is next up and it’s punk-edged rhythms lend themselves well to the band’s black metal. It’s faster again, with blasts and a mix of both low-pitched growls and high-pitched shrieks. The vocals die down and leave a rich tapestry of instrumental music that takes over for a couple of minutes. There’s plenty of melody and a lot of earthiness flowing through it and even when the harshness of the vocals do return, they’re tempered by that melody. It’s another enjoyable song that shares a lot with the current crop of socially and environmentally-aware black metal bands. Closing song Struggle will tug at your emotional strings one-minute and then shatter your reality the next. The mix of both calming introspection and bleak cold extremity makes for something compelling. ‘Cyclical Sentient Struggle’ is a release worth more than it’s salt. Exulansis has done a great job here. I hope there’s more to come from them this year.